 Rabbit anti Chicken interleukin-1 beta antibody recognizes chicken Interleukin 1 beta (chIL-1beta), which shares homology with mammalian IL-1beta. IL-1 is a major regulator in both innate and adaptive immune responses, plays an important role in the regulation of acute inflammation and has also been implicated in many other processes, including both fever and fibrinogen induction. The previous names by which IL-1 has been known includes lymphocyte activating factor, endogenous pyrogen, catabolin, hemopoietin-1, melanoma growth inhibition factor, and osteoclast activating factor, reflecting its widespread cell expression. Chicken models indicate physiological similarities between chIL-1beta and mammalian IL-1beta in relation to its neural distribution and several factors have been shown to induce chIL-1beta secretion, including protein kinase C (PKC), Calmodulin-dependent protein kinase, lipopolysaccharide, phorbol esters, calcium and silica. Rabbit anti Chicken interleukin-1 beta antibody (AHP941Z) neutralizes chicken IL-1 beta (Gyorfy et al. 2003). AHP941Z detects a band of approximately 29kDa in HD-11 cell lysates transfected with chIL-1. Gyorfy, Z. et al. (2003) Truncated chicken interleukin-1beta with increased biologic activity. J Interferon Cytokine Res. 23 (5): 223-8. De Boever, S. et al. (2010) Flow cytometric differentiation of avian leukocytes and analysis of their intracellular cytokine expression. Staeheli, P. et al. (2001) Cytokines of birds: conserved functions--a largely different look. J Interferon Cytokine Res. 21 (12): 993-1010. Weining, K.C. et al. (1998) A chicken homolog of mammalian interleukin-1 beta: cDNA cloning and purification of active recombinant protein. Eur J Biochem. 258 (3): 994-1000. Bombara, C.J. & TaylorRl, J.r. (1991) Signal transduction events in chicken interleukin-1 production. Poult Sci. 70 (6): 1372-80.